The Canteen will be offering Subway Meal Deal for the Sports Carnival on Friday 12th October. The order forms were be sent home on Friday 7th September. No other lunch items will be available. 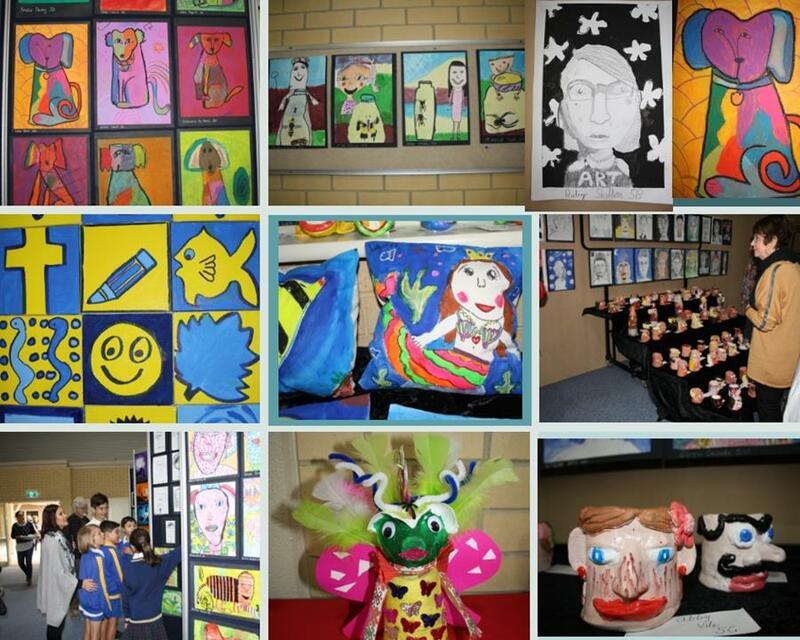 Our Grandparents day included Mass, singing by the Junior Choir, a fabulous morning tea provided by the P & F, an Art exhibition by our students followed by a classroom visit to view the Grandchilds work. We thank all of the Grandparents for joining us and we hope they enjoyed their time at Our Lady of Grace school. 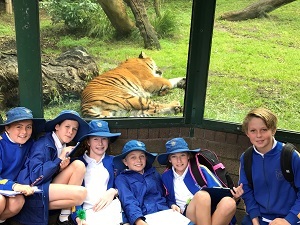 As part of Science this term the Year 6 students visited the Zoo and learnt about different animals from the Asian Rainforest and the adaptations they have made to survive in their environment. 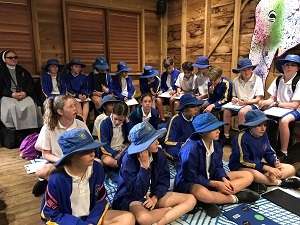 Reconciliation Retreat Year Three - Last week Sister Joseph directed a Reconciliation Retreats with our Year Three students. 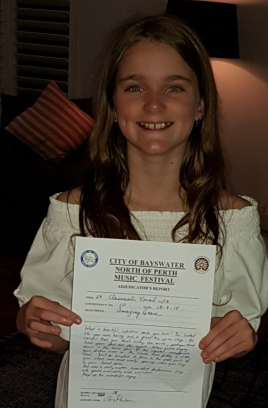 Congratuations to Angelina Curtis who last night won the Classical Vocal Solo (under 13s) in the North of Perth Music Festival 2018. Angelina sang Amazing Grace (chains are gone) the adapted version by Chris Tomlin. She sang with such amazing grace. And the judge was superstar Sarah Mcliver. Wanted: Old Ipad chargers. If you have any lying around the house and you don't need them anymore, we would love to have them. Please drop them off at the library. Friday 21st September from 2.15—3.00pm. The Uniform Shop will not be open during the holidays. Term 4 - The next opening time of the Uniform Shop will be Tuesday afternoon 9th October from 2.15 - 3.00pm. Please be aware that there has been a child bitten by a dog at the Charles Riley oval during play after school. Please keep a close eye on your children and any dogs that may be unattended. Contact The City of Sterling if you have any concerns. 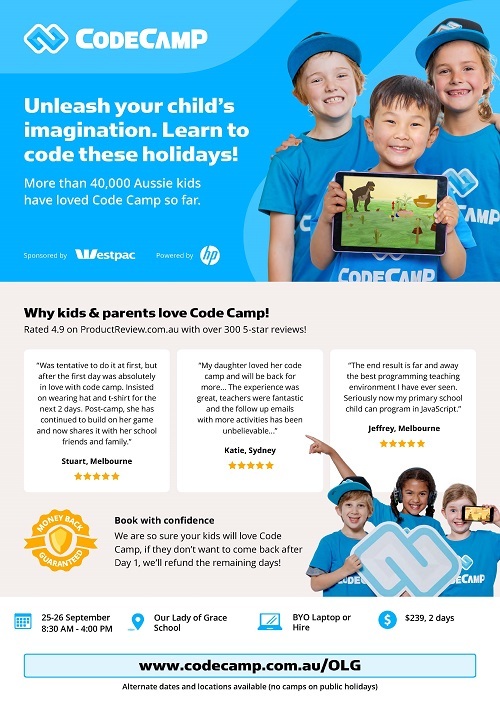 What a great term of P & F events! We successfully launched “The Fathering Project”, and spoiled our dads with our Fathers Day Breakfast. 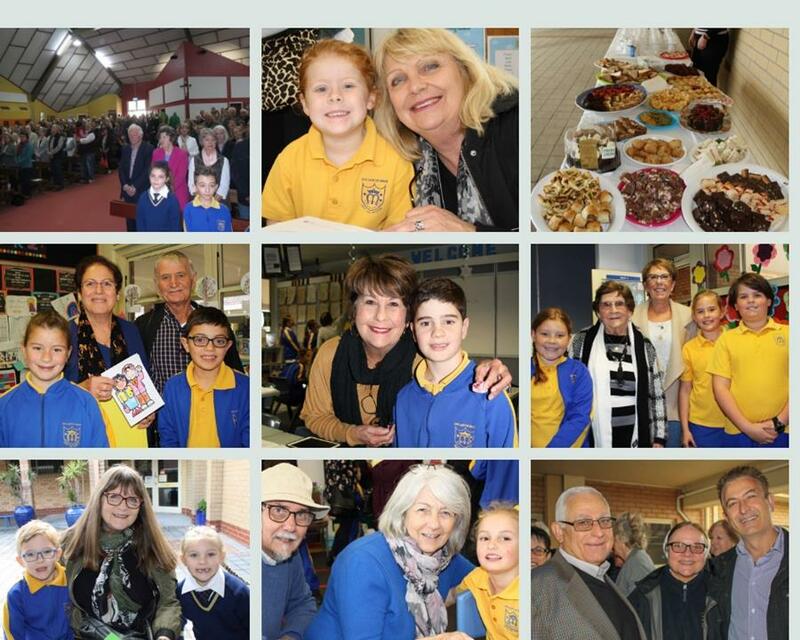 The grandparents were delighted with a special mass and morning tea before enjoying their grandchildren’s tour of the classrooms and art exhibition. 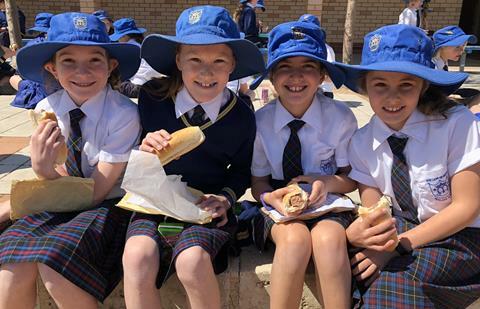 This week our kids are ending the term with a sausage sizzle! 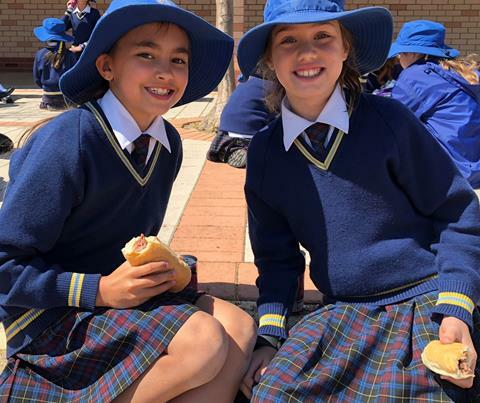 Big thanks to Faye Pafumi and her loyal and dedicated team for once again organising the sausage sizzle this term, as this raises significant funds for improving the school experience for our kids! Special thanks to Mark Marando, Chandler Comerford and Damien Newbold for organising our first official Fathering Project event. And to all the dads who have shown a keen interest to be involved and take on a role in the leadership group. This is an important initiative and we are committed to ensuring it lasts for a long time to come in supporting current and new dads at OLG! 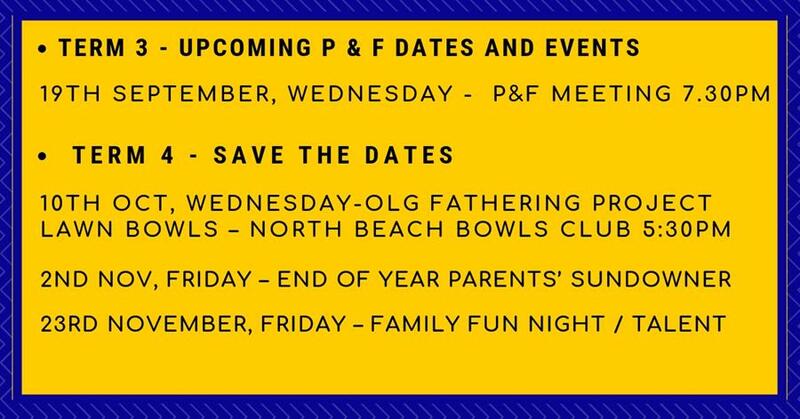 · Wednesday 10th October 5.30pm – OLG Fathering Project Lawn Bowls @ North Beach Bowling Club. 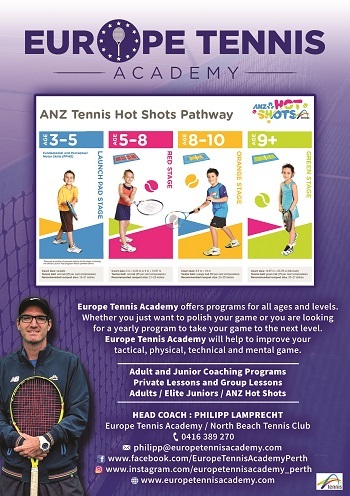 For more information contact Damien Newbold on 0417906502. If you own your own business, we invite you to be part of our OLG Business Community. You can support this initiative by taking up one of four levels of P & F Sponsorship, which provides the option of including your business in our OLG Business Directory. Your sponsorship will help fund many projects around the school which directly impacts our children’s school experience, and more information will follow next term as we progress this beneficial project. 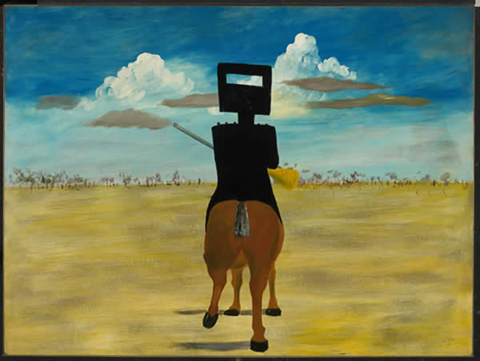 To find out more and register your interest email OLGBIZCOM@cewa.edu.au or drop your business card in the office. 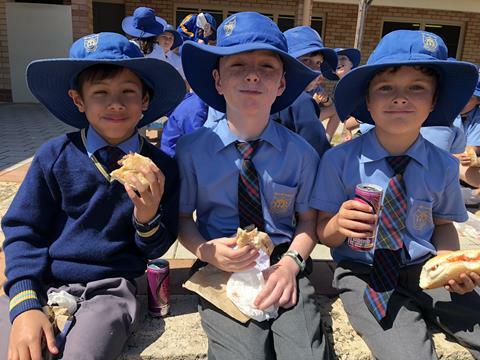 It was smiles all around when lunch arrived on Tuesday for the P & F Sausage Sizzle. COMMITMENT - If you could not make mass on the weekend Father Mark has asked that you come along over the following weekends leading up to First Reconciliation. When you come to mass just arrive a little early and let him know that you are there to make your commitment. Since this is the last sacramental event for the the year everyone is invited to share in this celebration. 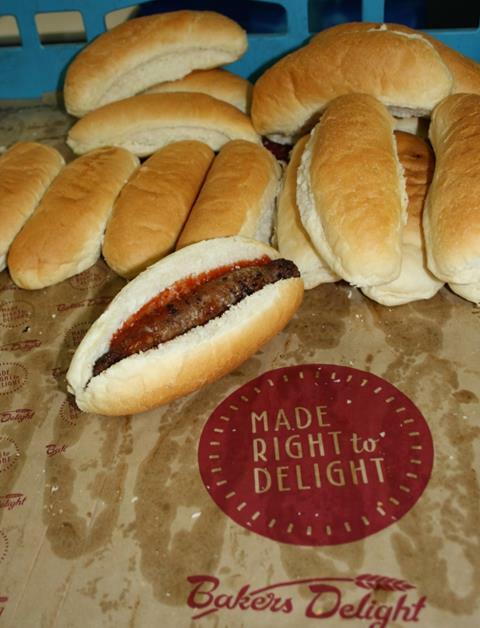 At the end of mass you are all invited to partake in the sausage sizzle. If you would like to attend just let me know the number of sausages your family would require. All the sausages will be gluten free. Are you searching for ways to enrich your understanding of the Catholic faith and tradition? Would you like to find out more about a particular sacrament which your child may be receiving? Then the Centre for Faith Enrichment is for you! We offer a wide range of face-to-face and online courses and events on topics ranging from spirituality, Church history, theology, scripture, Christian living and much more. No exams or assignments, just a relaxed and friendly learning atmosphere. 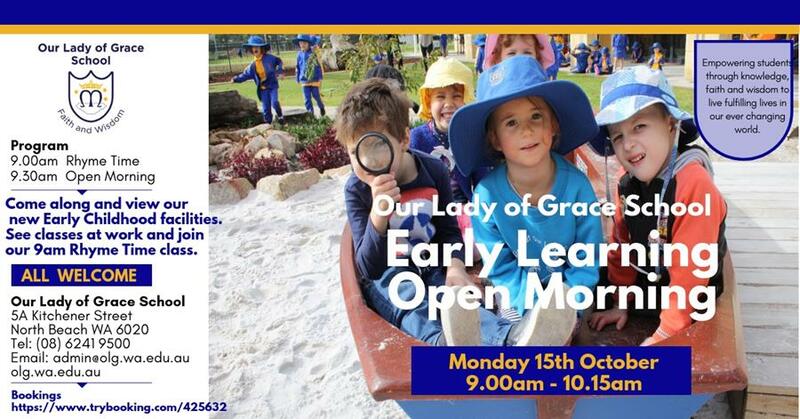 To know more visit our website www.cfe.org.au where you will find our courses and events page and explore our new sacraments website. 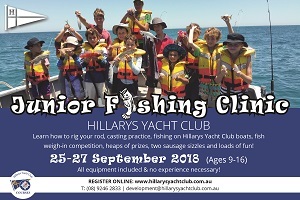 Join us for three days during School Holidays and learn how to rig your rod, casting practice, fishing on Hillarys Yacht Club boats, fish weigh-in competition, heaps of prizes, two sausage sizzles and loads of fun!